The GRN Coastal College Hire program for student Athletes is called Athletes Edge. College Athletes are a very attractive hiring pool and GRN Coastal brings forth your qualities in a way that emphasizes the benefits learned through athletic participation. We help you present these skills differently to a prospective employer. We advise you and provide a playbook to guide you for business world success by providing a series of services. We provide students with a FREE resume critique and review. We also provide you with opportunities to submit to our top clients that have real immediate needs. GAME OVER- GAME ON ….GET INTO THE WORKFORCE by securing you a career, not just a job. Athletes Edge is all about getting you into the professional workforce. We help student athletes get their first job after the games are over at fantastic companies. We help you prepare for the workforce by becoming your career coach and connecting you with our clients that are looking for former athletes because they recognize the value you will bring to their organization based on your inherent abilities as an athlete. We can get you back into the game with real opportunities. As former athletes, we get it. This is a no cost advisory service that we provide graduating student athletes; our clients pay us to deliver them top student athletes. Our program is very simple. In dialogue with Executives at the NCAA, it was felt that this advisory service could be very helpful to student athletes. Why… because we recruit, connect and place college athletes in top companies throughout North America. We do this via a streamlined process which accelerates the student athletes search by preparing them for the workforce and connecting them with companies that seek their skillset. GRN is a recruitment firm that places candidates all across North America in sales, management and engineering roles. 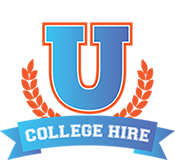 Our college hire program is with existing contracted clients of ours that are seeking top collegiate talent for new positions. We match graduating college students with immediate openings at our contracted clients. Our service is free to the student; we act as an advisor in the recruitment process. Please forward your resume to us immediately for consideration for our client’s openings. Our fees are paid directly to us by our contracted employers; this advisory service is free to you- the student. Resume critique: We know what companies look for; We interview you, understand your strengths, interests and most importantly your intangibles such as time management skills, leadership, determination, focus, team attitude, competitiveness, accountability and discipline and craft it into a resume that speaks to the needs of industry. We turn a blah resume into a real eye catcher that will stand out, and we know our clients will love. We give you the Edge. We give you the opportunity to submit your resume to our top clients. With a consistent behavior pattern well established. We position you to take your greatness on the athletic field and turn that into greatness in the business world. With a history of college athletics running deep through GRN Coastal, our experience with the tremendous discipline, training and commitment needed to succeed in on the field sets us apart from all other programs of this nature. Mix in 30+ years of corporate executive experience, and now entrepreneur experience, owning an award winning Recruitment and Talent Acquisition firm, we bring a unique perspective to the impact that college athletes can have on a company.